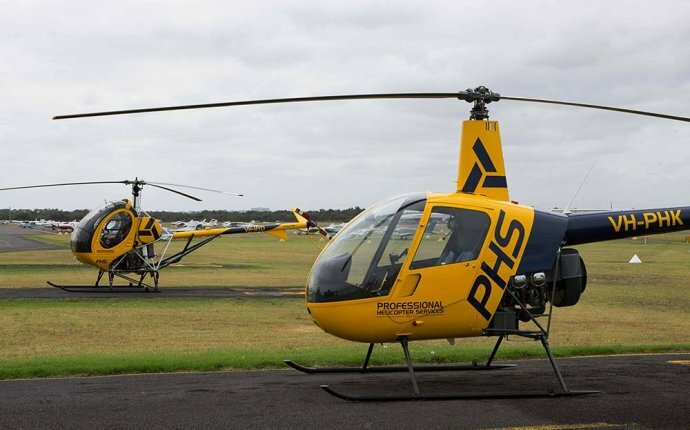 The Private Pilot rating is intended for the student who wishes to fly as a weekend hobbyist, is interested in becoming a commercial helicopter pilot, or is considering buying a helicopter of their own. With a private pilot license, you are allowed to take friends, family, or co-workers in a helicopter you rent or own. It is the first step on the path to the commercial pilot level. As a private pilot you are not allowed to accept compensation for flights. • TOTAL FEES: Costs per FAA minimums: $14, 800. The Instrument rating teaches you to operate the helicopter in weather conditions such as fog, low clouds and limited visibility. Your training will teach you to fly in weather conditions solely by your instruments. In addition to learning to fly in all weather conditions, you’ll gain experience and self-confidence to enhance your piloting skills and safety. • TOTAL FEES: $15, 025. This cost shown is based on FAA minimums. Your flight & ground instruction could be more based on your personal progress. The Commercial Pilot rating is intended for those who intend to work as a pilot for compensation. As a commercial pilot, you’re certified to work for other companies or work as an independent pilot for hire. Commercial pilots have the opportunity to work in many areas of the helicopter industry such as charters or tours, utility, news, agriculture and law enforcement. The more experience you gain, the more options you have for working as a pilot. • Prerequisites: Private Pilot certificate, Instrument required for most hiring organizations, at least 18 years old, able to speak, read, write and understand english. • FAA minimum: 150 flight hours; accumulated from Private & Instrument Training, plus whatever needed to reach 150 hours. • TOTAL FEES: $16, 560-$30, 700. Costs dependent on number of total flight hours accumulated before you start your commercial flight training. A CFI rating certifies you to train students in Visual Flight Rules (VFR) conditions. Working as a CFI allows you to build the time and experience you’ll need to land your first commercial industry job. You must hold a Commercial license to train as a CFI. As a CFI, you’ll be responsible for teaching students everything they need to know about helicopters in the air and in the classroom. The ability to take a fresh student with no aviation experience and prepare them successfully for their first solo flight and then an FAA exam is one of the most exhilarating and satisfying experiences a pilot can have. • Prerequisites: Commercial rating, at least 18 years old, able to speak, read, write and understand english. • TOTAL FEES: Typically about $7, 400-9, 000. Costs could vary based on number of flight or ground instruction needed. The Certified Flight Instructor Instrument (CFII) rating allows you to prepare students to earn their own Instrument rating in Instrument Flight Rules (IFR) conditions. As a CFII, you’ll be responsible for teaching students everything they need to know about instrument flight in both the air and the classroom. Your CFII rating also increases your value to hiring flight schools, as you are qualified to instruct both VFR and IFR students. • Prerequisites: Commercial Instrument rating, 18 years of age, able to speak, read, write and understand English. • Flight Instruction: $355/hour, Ground Instruction: $40/hour. • Pass the FAA written test and Oral and Flight test given by an FAA examiner. • TOTAL FEES: Typically about $5, 550-$6, 000. Costs could vary based on number of flight or ground instruction needed. The Airline Transport Pilot (ATP) rating is the highest FAA rating a helicopter pilot can obtain. Required by some employers, your ATP rating ensures that you meet or exceed any operator’s operational requirements. • TOTAL FEES: $650-$750 testing fees, as well as any additional hours of flight or ground instruction necessary to meet FAA requirements. Canyon State Aero offers a variety of Helicopter Add-On ratings. These are additional ratings for pilots that already hold various levels of FAA certifications in other types of aircraft and want to add additional ratings in a helicopter.